Wow, Wow, Wow!- absolutely blew us all away- one of the most amazing performances I have seen in London and a fantastic first for our children aged 9 and 11. The only downside was that it was exceptionally warm in the theatre!- I would 100% go again! Most amazing show ever. I visited London with my family and I watched the show . I can only recommend it to everyone. The actors were amazing . I can’t describe it . The show was decent. The theater was appalling. It was a hot day, but the theater was neither cooled nor even ventilated. Everyone around us was desperately fanning themselves and dripping with sweat. Utterly miserable. Money badly spent. I recently came at the end of July with my mother and the show was incredible, the cast phenomenal, especially Sophie Evans and Alice Fearn! All we could say when we came out was amazing amazing and we hope to return soon hopefully when Sophie and Alice are on!!! Pure escapism. It really took me out of myself for the duration of the performance. The stars and songs were out of this world and it was well the price of the entry ticket. Fantastic!! I saw Wicked with my friend and our 2 nine year olds on Monday 2nd April 2018. The whole experience from arriving to the theatre to the show itself was brilliant. The story, performers, singing, music everything about this show was amazing! It is a fantastic family show and I would definately be recommending it to everyone to watch!. Thank you to the cast and all involved for this wonderful experience! I will sure to be back to watch it again! Firstly, the show was amazing, the cast superb and we loved it...except for one of the door staff. I arrived tonight with my 10 year old daughter who has a largely ‘hidden’ disability. I am disgusted and raging after being treated by one staff member appallingly. He was on the door, there was a large queue for prebooked tickets, I said I needed to pick up tickets. He said ‘that’s the queue’ I replied that my child is disabled, she can’t queue. To which and I have to say I am appalled and still very cross, he said ‘we all have to queue’. I replied really? I can produce her blue badge, he said no, get in the queue. Seriously this is shocking. I did not want to get further into debate with him as my daughter’s feelings are way more important to me than his small minded disturbing attitude. Luckily two very lovely ladies who witnessed this exchange allowed us in front of them in the queue and I noted nobody who witnessed this complained. One of your staff, a lady on the door apologised for her colleague, however, seriously you need to have a training session with this individual. As I said, the show was just awesome but surely it is about someone who is ‘different’. I would like a response please I would like to know you have talked to this staff member and retrained him. It is a shame that what was a treat for my brave amazing girl was slightly marred by this guys offensive attitude. Great performance but terrible experience as far as the theatre goes. We got there ONE MINUTE LATE, and even though the show had not started, we were told we could not enter the theatre and told that we would have to wait 25 minutes (which is 1/4 of the show!!). There was a small, old TV screen in the foyer but because of really poor quality we couldn't see the production on screen or hear it because the staff were so loud in the foyer - very inconsiderate. After walking through the theatre we saw seats at the back of the theatre and a pod which was clearly there for latecomers - there was no reason why we could not have waited here, at least we would not miss out on one quarter of the show that we were so looking forward to seeing. Very disappointed, will be sharing our experience with friends. Seeing WICKED was my dream since years. I was crying most of show becouse it is simply AMAZING- the story, the music, singers and their skills, scenography,costumes,dancers...highest level possible. I already have been twice (all way long from Poland:)) and for sure I will come again. I first saw Wicked back in 2012, when I was down for the Olympics. I decided to visit recently, partly in order to relish the fantastical atmosphere presented by the show once more, but also in order to assure myself that the magic was not simply created by the memories of a impressionable teenager. After my recent visit, I can say this with absolute confidence: The magic is real, brought to life with phenomenal aplomb by the cast, who all provided absolutely stunning performances, leaving me breathless with the power of emotions on the stage and the raw talent pulsating throughout the singing. Willemijn Verkaik, Helen Woolf, Oliver Savile and everyone else in the cast, I wish to thank you, profusely, for providing such an excellent performance, one that truly blew me away and made this birthday of mine special. Great theatre, nice staff, pleasant evening out for all. I visited the Apollo this evening for the first time and was very impressed with my seats in the stalls ZB. Thanks to the city council initiative free child places during August, my lovely Grandchildren were able to enjoy Wicked for free. A great evening was had by all and I will be planning another trip to The Apollo soon. Me and my daughter saw Wicked at the Apollo Theatre London on Sat 5th March 2016 and we thought it was amazing, best show we have seen. Congratulations to the whole cast you were amazing - we would definitely recommend seeing this to our family and friends and we would definitely come back and see it again ourselves. This is a very nicely laid out theatre. 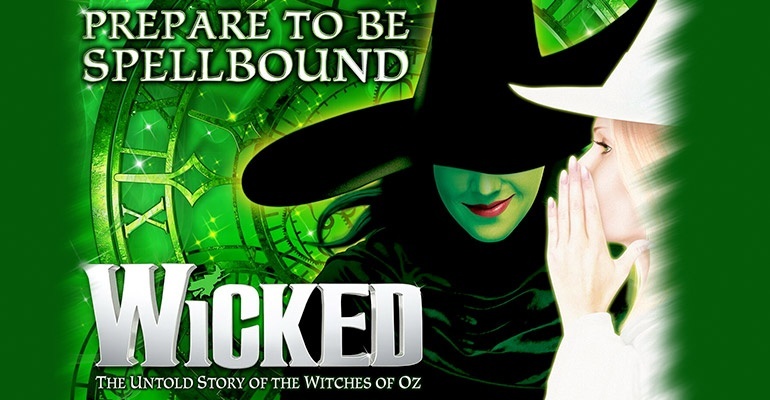 We saw Wicked in November 2015, and the staff were exceptionally friendly and helpful. I suffer occasionally from anxiety attacks, and on this particular evening I had to have a 10 minute breather by the doors half way through the show. I explained to the enquiring staff, and they were very understanding – to the point of offering me a seat where they keep an eye on theatre, for the rest of the performance. I declined, but I felt that they really couldn’t have done more to make me feel relaxed and comfortable, and I was very touched that they tried their best to enable me to see as much of the show as I could, in comfort. What a night. I arrived at the theater with my wife on Tuesday 24th Nov after an exhaustive day in London. I am disabled and through all the confusion of buses I left my walking stick on the bus and was struggling to walk when we got to the theatre. This was noticed by one of the ushers/doormen, his name was Scott I think. What a lovely young man. He got me a chair and then arranged for the lift to take me to our seats with as little discomfort as possible (he even changed the seats for us) The man operating the lift was called Lance Robertson and on seeing my predicament said he would have a look around to see if he could find a stick if not he would make one. Come the interval I got a shock, he turned up and presented me with a stick he had made himself using a little ingenuity. The stick was a broom handle to which he attached a toilet flush handle and a rubber pipe connector on the bottom. It was brilliant and it worked perfectly, we are back home now and the stick is going on display at our home for all to see and marvel at the unique way it was put together. We would like to thank the staff at the Apollo Victoria theater in London for their kindness and understanding and to top it all it was a great show. Thanks. The staff at the Apollo Victoria were extremely helpful and polite. They made everything accessible for me being a wheelchair user and went out of their way to make sure getting in, out and around was easy and stress free. They couldn’t have done more to make my experience a positive one! Fantastic show. I love the theatre. This show was incredible! Went for part of my 18th birthday and I want to go back and see it every night! Really a must see! I took my two kids to see Wicked and it was spectacular! The set is beautiful when you walk into the theatre - they were so excited by the giant dragon! I have to say I was a bit dubious about seeing it as an adult but I enjoyed it just as much as my children. There were plenty of jokes for adults too, very much like Toy Story. I was really pleased that the story centered around Elphelba, she's a great headstrong and moral role model for my youngest daughter who is obsessed with hair and dresses at the moment. The girl who played her was outstanding! Her voice was so beautiful. I'd recommend Wicked to anyone with children, my two can't stop talking about it and singing Defying Gravity. Wonderful! SUCH a fantastic show! I left the show feeling great and uplifted. The story line is a really interesting take on the Wizard of Oz. Amazing songs and great actors. I saw Wicked for the first time at the Apollo Victoria. It was INCREDIBLE!!! Definitely a must see for everyone in the entire world. I loved it. I am American and desperately want to go back to London!!! OMG Wicked is amazing I have seen it twice and I have to say it is the best show I have ever scene if I could I would watch it over and over again , I highly recommend it to all people who are interested in or like musicals !! I loved every second of Wicked! OMG it's totally sparkly and amazing but has a heart. I love the Wizard of Oz but this was better and told a different side to the story of Oz. The singing was out of this world! "Defying Gravity" almost had me in tears! LOVE IT! AMAZEBALLS! Totally wow! Came out feelin all magical! Wicked is alright/pretty good but a bit shallow. It's not exactly a thinker but the songs are very catchy and well sung and the production feels very big and in your face. Worth a watch but not a work of art.